The prestigious British network BBC has produced an extensive report praising the Basque education model and its excellent results. 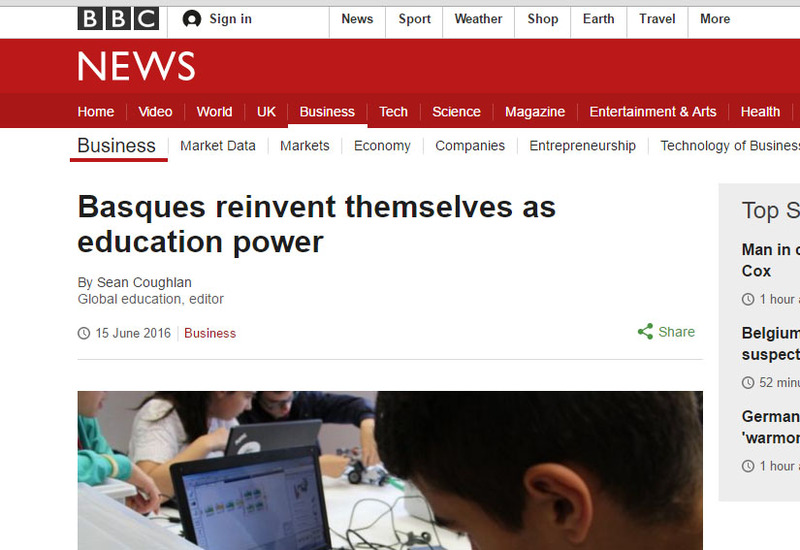 Under the heading “Basques reinvent themselves as education power” (http://www.bbc.com/news/business-36517928), the education correspondent for BBC News, Sean Coughian, signs an article praising the advantages and excellent results of the Basque education system. The report highlights that the Basque Government, with a high degree of autonomy from the Spanish central government, has invested heavily on education. In this regard, it points out that if the Basque Country were ranked as a country, “only Denmark and Austria would have higher levels of per-pupil spending in Europe”. What about the Basque education system as a rising power? The Basque education system has educated many highly-qualified students with a range of skills such as a strong sense of identity and ambition, high conflict resolution skills and a greater competitive need than other European students. Thus, thanks to this education system, almost 48% of the working-age population has a degree-level qualification, similar to the levels in Finland and Norway. Out of this unusually high proportion of graduates, almost half have studied science, maths or engineering. As for the percentage of the population engaged in research and development, the Basque Country heads the ranking with Finland and Denmark. With these figures, the article of the BBC states that “in many ways, the educational profile feels more like a pocket of Scandinavia rather than southern Europe”. In fact, it says that Swedish experts have been visiting the Basque Country to implement some of its methods. 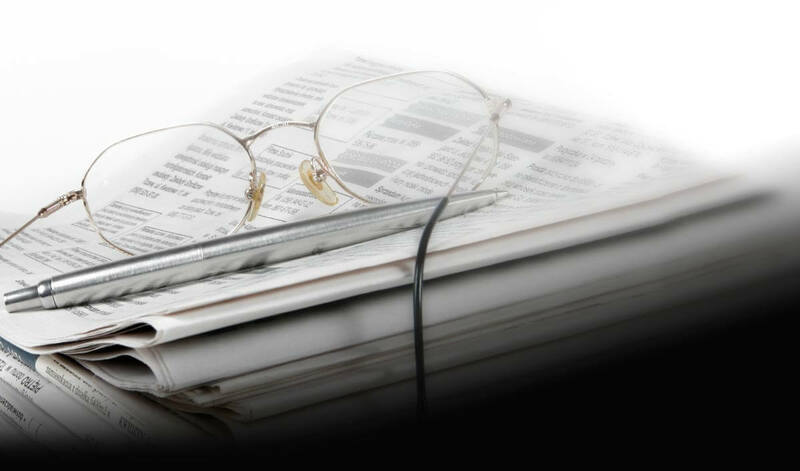 The article includes some statements by the Education Minister of the Basque Government, Cristina Uriarte, who says that “education is the key to keeping our culture”. She also underlines that there is a big push for schools to teach in the Basque language and to instil a sense of cultural identity. The Basque Government, seeking to escape from the suppression of the Basque language during General Franco’s dictatorship, has used all the resources available and the devolved powers to build an education system to protect its language and build economic self-sufficiency. In this regard, the investment in research and development is said to have made the Basque Country avoid the high levels of youth unemployment afflicting much of Spain. The Minister also says that they have tried to find out the values and qualities of high-performing education systems such as Finland, South Korea and Estonia to establish links with them. Likewise, the article of the BBC stresses the fact that approximately 50% of the schools are a mixture of state and private (state-subsidized) schools. Maritere Ojanguren, with whom bizkaia talent has collaborated on several occasions, defends the model implemented in the centre she manages: Lauaxeta School. It is a school owned by a cooperative, with parents as members, and receives about 60% of its funding from the government. The rest comes from the fees paid by parents. Ojanguren thinks that this shared payment system makes parents much more engaged in the running of the school and these schools can offer advantages and opportunities different from those offered by state schools. For the correspondent, this system shows the “the entrepreneurial spirit of the Basque culture”. Lauaxeta School teaches pupils from the age of two until they leave at 18. The article says that the Basque Country is a very prosperous part of Europe, since only Luxemburg and Austria have a higher per capita income. Coughian also includes the opinion of the dean of the Business School of the University of Deusto, Guillermo Dorronsoro. The dean explains that “education is a long-term investment, a sense of identity is necessary. If there is no sense of identity, no effort is made”. He adds that history has encouraged the Basques to create a common sense of purpose and collective commitment, from schools, families and policy-makers. The Basques, he says, have an incentive set by history which helps mobilize public support. The article also praises the virtues of the Guggenheim Museum, built in the centre of Bilbao, where the naval industry stood years ago. The new Basque approach to regeneration combines these cultural showcases with support for new industries connected to university-level science research. Finally, the Director for Education of the OECD, Andreas Schleicher, confirms that the Basque Country is a big investor in education and part of that project has been devoted to promoting the Basque language so as to distinguish themselves from other regions in Spain and measure themselves against international as well as regional standards.